A strong and durable product for your intelligent munhkins to study. This light weight foldable table and chair set is easy to move and store. 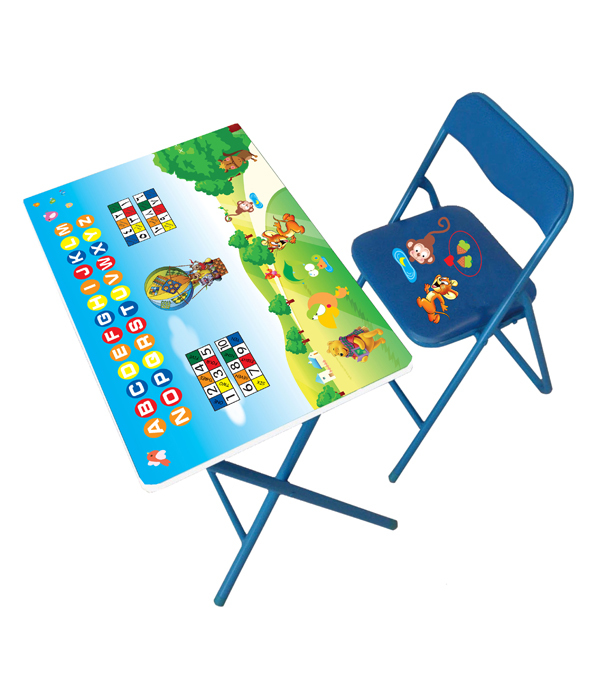 This product features alphabets and numbers printed on the table with lamination. It could be a great motivation for kids to read, draw, color and paint.